Meghan and I as Co-CEOs have found one of our greatest privileges is the volume of updates and info being sent to us from both inside Next Jump and also the greater community we have built outside. This can range from an act of leadership, kindness helping others, heroics with customers/clients or engineering a product…or notes from the many people we have given our time, resources, knowledge and capital to help. It is hard to believe how much has happened in just one month since our last newsletter. Here is a sampling of what crossed our desks as CEOs, which we encourage for you to forward and share with your family & friends. To start, the two of us were featured on the cover of Conscious Company magazine, under the “Game Changers” November/December issue (you can buy copies in bookstores and also at Wholefoods). 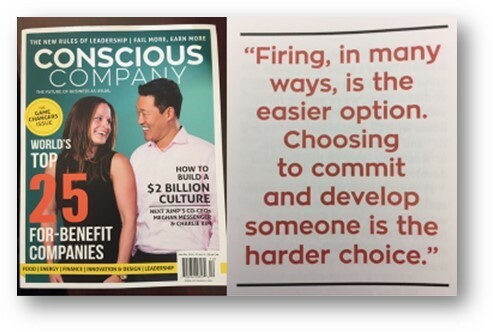 Loved the quote on how firing is the easier option to develop someone. 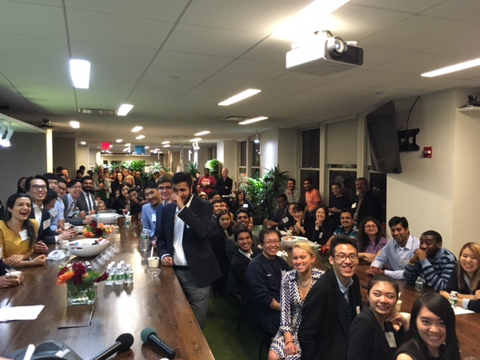 After pre-screening thousands of undergrad and grad students from top schools including Cornell, Columbia, Georgia Tech and Carnegie Mellon, the top 50 are invited to a 10 hour interview day at our NYC offices. 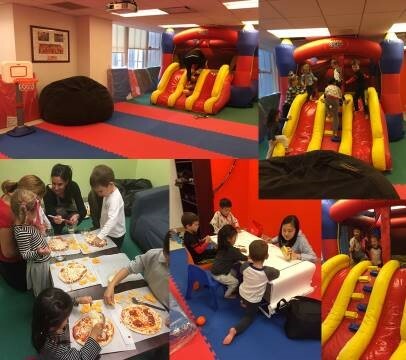 In addition to the candidates, we had 18 VIP Guests observing the entire day including the Deputy Director of the CIA, the heads of Talent & Recruiting from JPMC, UBS, Fidelity, HPS ($40B hedgefund), The New American Academy (charter school). She made a comment that what really got to her for the whole day was the war room. She said, that she was impressed with tour, speeches, but couldn’t fully tell if real until she sat in the war room. She said it blew her away – it was serious decisions, but everyone felt a degree of comfort in speaking their minds to each other that would never happen at Fidelity. She couldn’t believe junior people were speaking up and their opinion was respected, people were challenging each other, debating but yet there was a level of comraderie. She said when Charlie/MM talked on elite performance, she saw it in War room. “I have been thinking about your organization a great deal since Saturday and there are two things that I would like to thank you for. First, there is a hard-to-quantify/explain energy that comes when one is engaged in the learning process. I would leave classes energized and buzzed about spending the previous hour just thinking about stuff. As students we are allowed to get close to the material and we are in a space where we can mentally wrestle with it. I find this process or “space” is severely lacking in professional settings. Thank you for creating an organization that seems to not only has systemized that buzz but that executes and maintains ideas so that it doesn’t fade. Second, I think whenever an organization (or a person for that matter) is doing something different/exciting/radical there may be a natural inclination for an outsider to discount its efficacy. Several times during the day I caught myself mentally “trolling” what you do – convincing myself that that we were experiencing was the shiny brochure-like presentation of your organization. In the past I was convinced this form of skepticism was a helpful, scientific-method approach to questioning a premise and therefore growing as a leader, but in reality it was probably just defending against my ego being bruised. During Super Saturday I tried to ask tough questions of the NextJumpers both to learn some fine details of your organization but probably also hoping to expose the cracks and therefore validate my suspicions and thus protecting my ego. At one point I had asked our wonderful culture tour guide (and I apologize that her name escapes me) “so what is wrong, what do you guys do poorly?”. She answered my question so matter-of-factly and genuinely that I wanted to thank you for creating an environment where an outsider like me feels comfortable asking a challenging question like that. Tentative lateral Super Saturday in January. We’ve had thousands of applicants (non-college recruiting) looking for an opening to become a NxJumper. Looking to bring on the best today and more importantly, those with the highest propensity to learn and grow to become a future NxJumper. Please keep an eye out for future NxJumpers. Eight senior engineers, all learned new coding languages and built mobile apps in both IOS and Android in less than 4 weeks (part-time). It was truly elite performance. We ran several Leadership Academies in this past month, the main event: multi-day academy for the leadership team at JPMC. Many reactions and comments and a general disbelief that we would not charge for this experience. “Our trip to NxJ truly changed my life. I think back to that pivotal moment in spin class regularly. I’ve lost 15 lbs since our visit because I started giving myself permission to take care of myself. But more than just losing some weight, I’ve lost so much guilt. Your inspiration is spot on. Why can’t moms be great at home and at the office? And why can’t they do that without penalizing themselves? Being a better version of myself makes me a better mom. And a better employee. And a better wife, friend, etc. I know these are all things you already know and teach at NxJ, but I am 100% confirming and endorsing that for you!! I’ve also implemented your advice about having a “free night.” Being able to stay at work late or catch the gym without worrying about dinner for the kids or making it home for soccer practice has been a game changer. On the work side, we are slowly making little changes. It looks like one of our offices is willing to pilot their own version of coronitas and they’re talking about doing something like MV21. Baby steps, but they’re at least headed in the right direction. We are piloting the FLO model with some of our internal methodology projects in the audit practice – the largest practice at our firm. 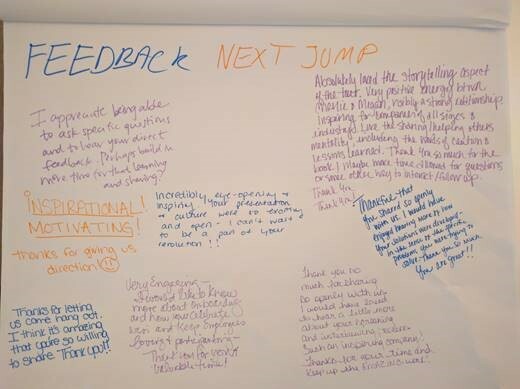 Last week we piloted Yoga Nidra for 5 consecutive days and are receiving glowing feedback from the dozen who participated. Internal project team focused on “Cultural Connectivity and Engagement.” This team is looking at how to begin piloting the Talking Partner and Situational Workshops across each of our offices. 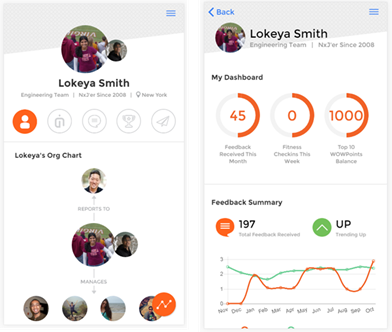 Look forward to the additional culture apps your team will be making available in the weeks/months to come- especially the Contribution Evaluation app. We are already thinking through how we would use the app and hence change our performance assessment process to be much more effective. And, last but not least, your continued emphasis and passion around Better Me+ Better You=Better Us had a real lasting effect on all of us. I hear Seth (and myself) referencing this often in our discussions with others. More to come! A huge thank you again to you and your team. Your influence, “fire” and selfless sharing has had a significant impact in moving FD to the next ‘level of development’ – a place I did not think I would witness during my tenure with the firm. Last week Seth and I presented to 30 CEOs of Accounting firms our size and shared the work we’ve done, our learning, the organizations like Next Jump, etc that are paving the way for a new kind of approach in human development and work culture. They were ecstatic and told us we are going to “change the industry” among other things. Many of you were present in our July ceremony, after many months of votes and interviews, as NxJumpers selected the number one person that helped them succeed, our top servant leader: Vaishali. She was called on stage as her mother and father, flown in from India, entered the stage (from hiding) along with her husband, children and his family. This award is created to honor our Mothers – where our servant leadership “helping others” originates. “It was one of the best and most memorable experiences of my life. It was the perfect vacation, the perfect adventure! 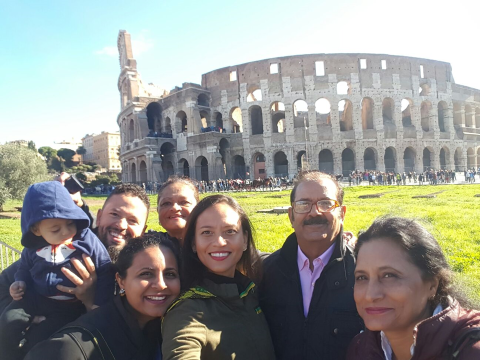 From sitting in cafes in Barcelona; to being overwhelmed with emotion at the beauty of the La Sagrada Familia; to swimming in the Mediterranean; to rushing at the Vatican to not miss the cutoff time for the ship; to the meal to die for in Florence and gelato gelato gelato! We did it all as a family together and will always have the wonderful memories of this time forever. We travelled from New York, Jamaica and India and met in Barcelona. We saw so many amazing places and met so many genuinely nice people but the best part was being able to share these moments with our family. This would not have been possible without you, and we will be forever grateful and always treasure this experience. Stay tuned: our Cambridge office is looking to rapidly replicate what was piloted in NYC. 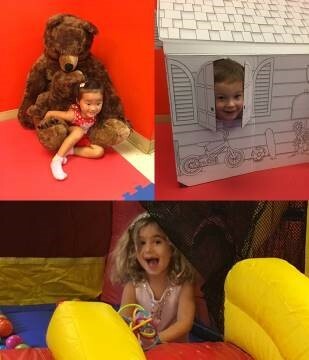 We hope to update you with pictures in our November newsletter. 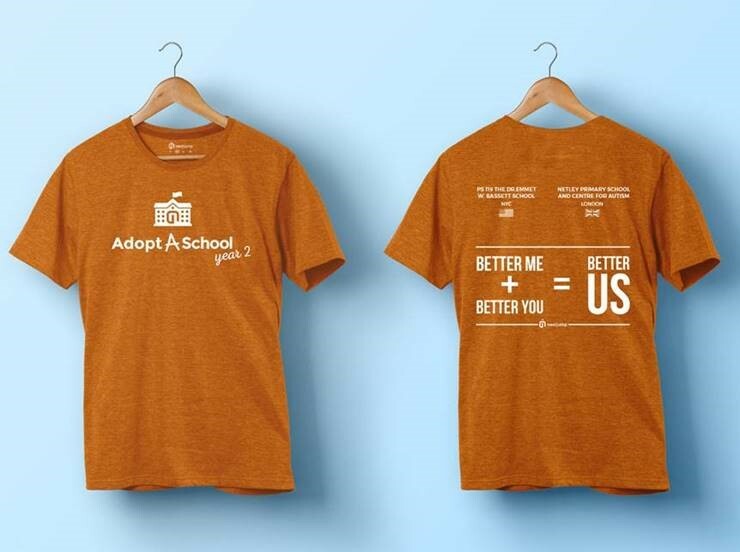 New T-shirts printed for both offices, our staff, the children, the teachers & faculty in both the Bronx and the UK. We are looking to create a competition between the two public schools. NxJumpers on their Thursday visits would help coach the students in both the U.S. and U.K. public schools. Could be a “shark tank” style business plan competition. Could be a coding competition, a hackathon. Prizes could include a trip to the other school (UK à NYC or vice versa) for the winning team. Please send us your thoughts. Winning is an ART. You can do everything right, play the game of your life…and still lose. Healthy behaviors increase your chances of winning. Just like unhealthy behaviors decrease your chances. Bill Gates said it best: “I am incredibly disciplined in every aspect of my life. So that when the few big opportunities come by, I can pounce on them.” Many of us will be unprepared, overwhelmed…simply unable to take advantage of these few rare opportunities to win. Winning is hard and in the short-run is often unfair. However, in the long-run, it is similar to the World Series of Poker. How is it that in a game of “luck” with nearly 10,000 people playing for days, the same faces are able to show up in the final table. However, winning is so hard, it is often easier to start by learning to not lose (defense before offense). Losing is a SCIENCE. With 22 years of observing ourselves as well as learning and sharing with the top researchers, academics, industry leaders…we have learned that there is a repeated and thematic nature to losing. The one common ingredient in every bad decision made, every poor judgement call…is FEAR. And our inability to recognize the damage we are about to do when on “emotional tilt” – they say, when you are angry, whatever you are about to say next, are words you will regret. How do we recognize and then reduce our FEAR? By the way, although, learning to reduce our fear will bring us back to “full capacity, get our full brain back”, it will not guarantee a win. It gets us back into the game – fully engaged. ..when we are in our TERROR ZONE, we are at our worst (read: will regret what we say, what we do…often taking us backwards). If we stay in our COMFORT ZONE, we do not grow, in fact over time, our fear grows and the comfort zone shrinks, becoming smaller and smaller over time. We are at our best, in our flow in the COURAGE ZONE. 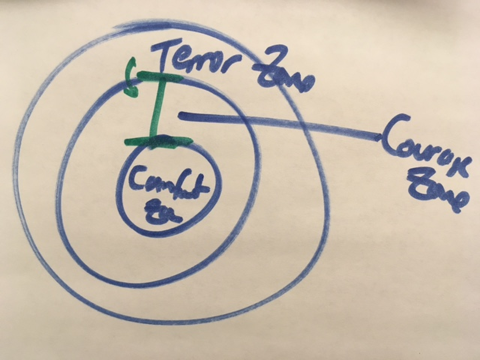 KEY INSIGHT: it often takes a tiny bit of fear reduction to go from our TERROR ZONE to the COURAGE ZONE. The most common mistake is to try and eradicate all the fear, 100% removal, to bring ourselves to our comfort zone. Not only is that a waste of effort, we often never get there. Fear will always be present. Courage is acting when fear is present. However when we act or speak in the Terror Zone, we are either reckless or paralyzed. How to dial down our fear…talk it out, the micro fears we have daily, with a Trusted Partner, your Team Player, your Talking Partner [your TP]. Our goal is to produce this monthly Co-CEO Update, to be shared with your family & friends. Let us know any reactions or feedback.